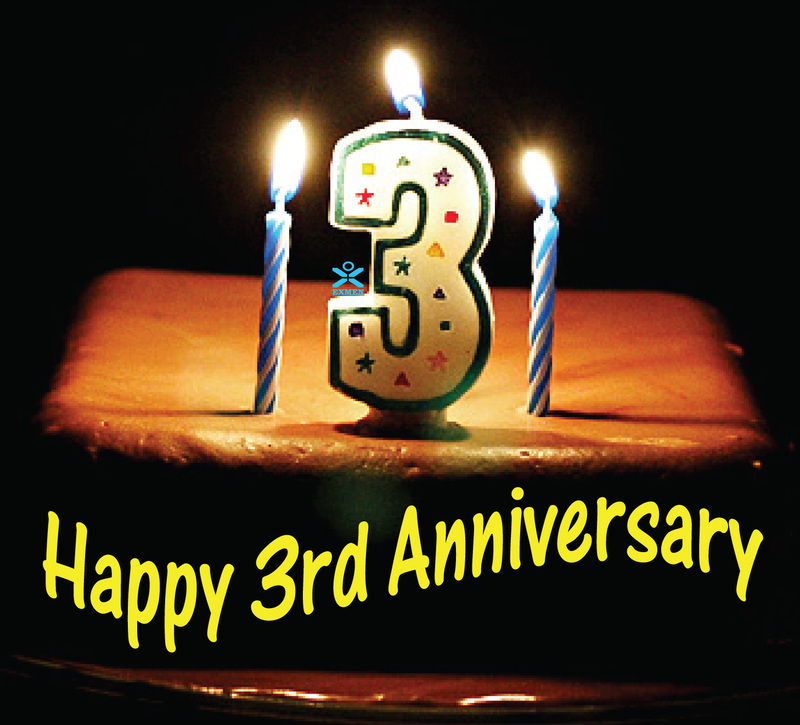 The Super Organizer Show Turns 3 Years old! 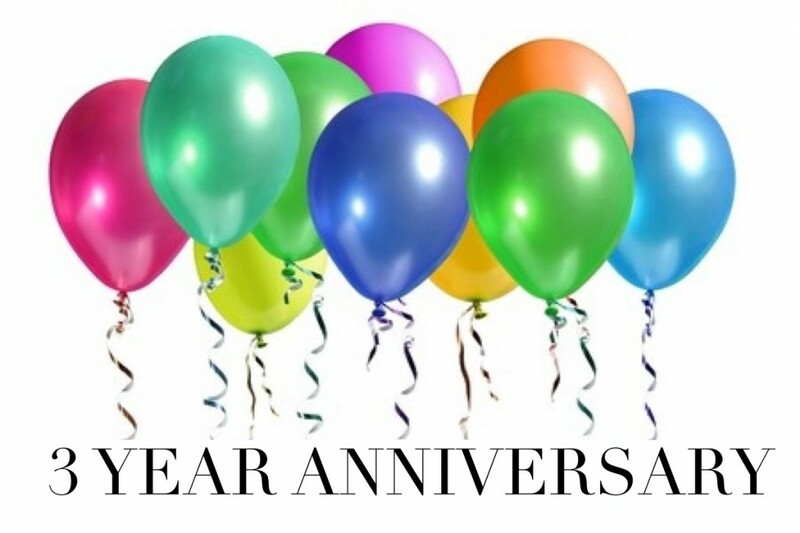 Listen to my 3 year anniversary show today! Its 2 hours of former guests TODAY! Thank you to everyone for the success of my radio show/podcast! 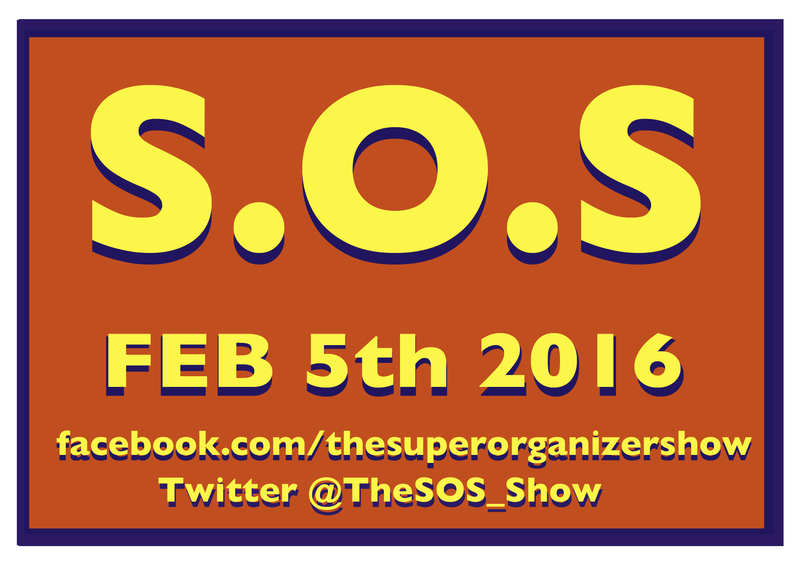 The SOS Show with James Lott Jr, my weekly radio show and podcast will return on Monday January 8th!! Thank you for the support these last 2 and a half years!!! 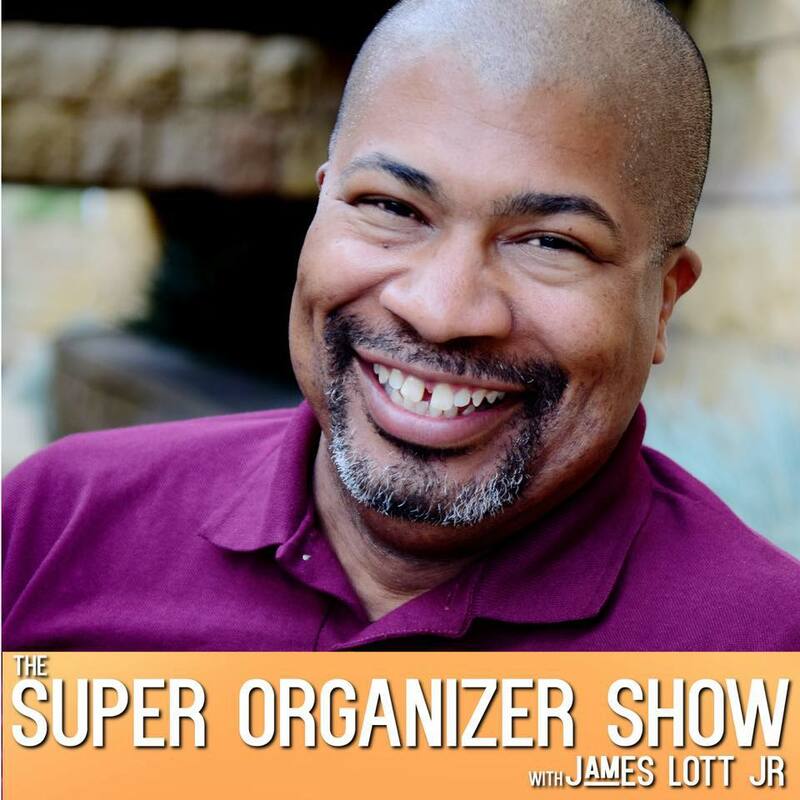 The Super Organizer Show is on the Road! James is on the road the month of June and during several stops he will be broadcasting the SOS Show LIVE!! 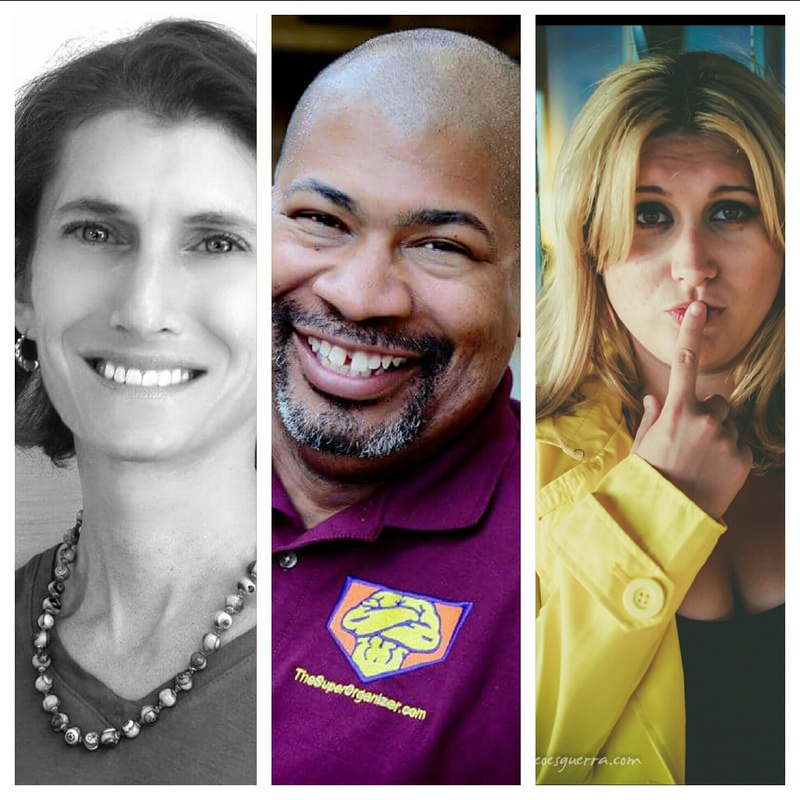 He will be talking to local Professional Organizers and giving you useful topics! Some of the scheduled shows: Pittsburgh, Columbus OHIO and Florida! Stay tuned for announcements when they will be released!! 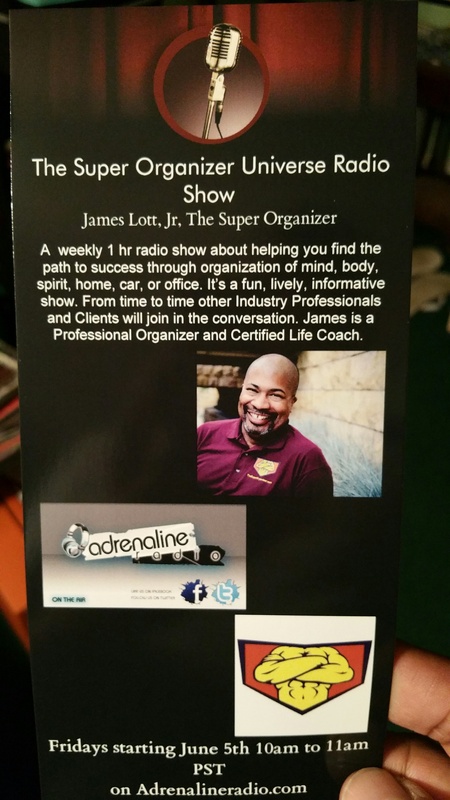 This weekend is my 1 year anniversary of the relaunch of my radio show The Super Organizer Show. (aka The SOS Show). Its been been a total of 2 years on air! I’m on iTunes and iHeartRadio. I still can’t believe I can go to several platforms and find a show with my name on it! Dreams can come true. Sometimes the dreams seem so far away or out of reach. But you never know what can come your way and happen. A guest of mine told me once to stay in line and your turn will come. i like that! I am in gratitude to Adrenaline Radio and my engineer Bryan! I love my listeners! I love when people share with me aspects of my shows. I appreciate all my guests who come on and share knowledge. i love doing the show and I am working on some great stuff for the next year. I will be doing more remote shows! I am talking to more people to come on the show! I am also thinking of maybe a video component. Stay tuned.. I don’t take for granted what i have at all!!! thank you all!